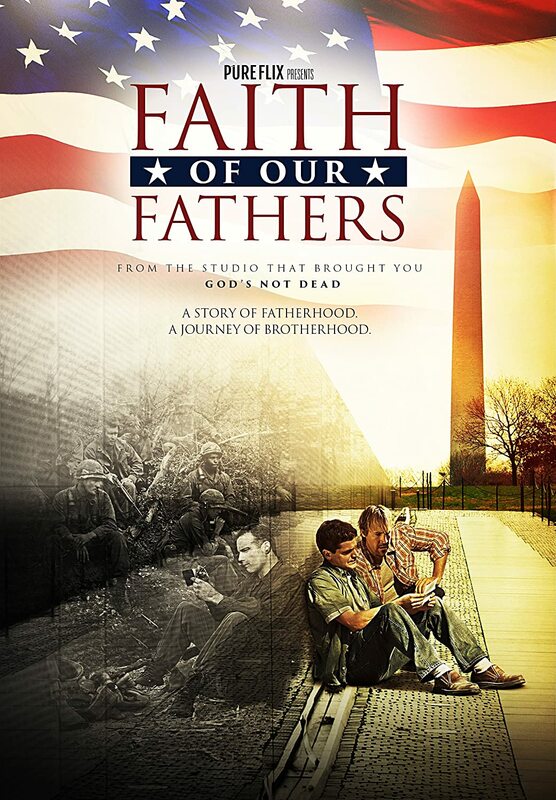 Veterans Day is coming up next week and there is no better way to celebrate all amazing and heroic veterans than by watching this amazing movie, Faith of Our Fathers, by the studio that brought us the great movie, God's Not Dead. I really liked God's Not Dead so I really wanted to check out Faith of Our Fathers. I love a movie that has quality and a great story line without all the language, violence and junk that is in so many movies these days. I really appreciated that this was just a wholesome, well-made drama that had a great story line without having to be rated R.
Although I didn't love it as much as some of the other Christian movies that have come out lately (War Room, God's Not Dead, Fireproof), it still had a great message, made me tear up a little and is really a great movie for anyone who knows or had someone in a war or has had to travel that emotional journey having a veteran in their life. (1) Faith of Our Fathers DVD to a lucky winner!